1.4 In this policy, "we", "us" and "our" refer toHomeschool Social Enterprise Management. For more information about us, see Section 11. 3.3 We may process your personal data that are provided in the course of the use of our services ("service data"). The service data may include your name, email address and other details provided. The source of the service data is you. The service data may be processed for the purposes of operating our website, providing our services, ensuring the security of our website and services, maintaining back-ups of our databases and communicating with you. The legal basis for this processing is consent OR our legitimate interests, namely the proper administration of our website and business OR the performance of a contract between you and us and/or taking steps, at your request, to enter into such a contract. 3.4 We may process information that you provide to us for the purpose of subscribing to our email notifications and/or newsletters ("notification data"). The notification data may be processed for the purposes of sending you the relevant notifications and/or newsletters. The legal basis for this processing is consent OR the performance of a contract between you and us and/or taking steps, at your request, to enter into such a contract. 4.2 In addition to the specific disclosures of personal data set out in this Section 4, we may disclose your personal data where such disclosure is necessary forcompliance with a legal obligation to which we are subject, or in order to protect your vital interests or the vital interests of another natural person. We may also disclose your personal data where such disclosure is necessary for the establishment, exercise or defence of legal claims, whether in court proceedings or in an administrative or out-of-court procedure. Personal databe retained for a minimum period of 6 years. 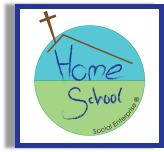 11.1 This website is owned and operated by Homeschool Social Enterprise. 11.2 We are registered in England under registration numbers 7185716 (Company number) and 1146794 (Charity number), and our registered office is at 49 Manifold Way, Wednesbury, West Midlands, WS10 0GB. 11.3 Our principal place of business is at Homeschool Social Enterprise, 49 Manifold Way, Wednesbury, West Midlands, WS10 0GB. (a) by post, to 49 Manifold Way, Wednesbury, West Midlands, WS10 0GB. 12.1 Our data protection officer's contact details are as above.